Hypnosis is a therapeutic tool, which when used properly, can be used to overcome emotional, psychological and physical health problems. 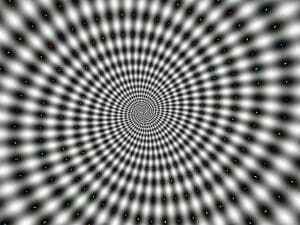 There are many misconceptions about hypnotism which arise from having half the knowledge as well as from the various stage shows and movies in which the hypnotist seems to control the behavior of people. While some of us may be thinking of it as some sort of magic mantra, it is far from so. It is definitely not something to brainwash anyone or control anybody’s mind. It is in fact just a state of heightened suggestibility and your mind is fully in control. Self-hypnosis can help you deal with day to day problems by modifying your emotions, attitudes, and behavior. It also helps you overcome habits like smoking, over-eating drinking, etc. It can also be used to enhance performance in any sporting activities and events like doing well in studies. First and foremost it is important to know what you want to achieve and formulate your post-hypnotic suggestions as per requirement. These should be made with full faith and should be positive and in worded in the present tense. They should also be realistic and achievable and should not harm anyone in any manner. 1. Lie down on your back or sit straight in a comfortable position. 2. Pick a point within your easy focus on the wall or the ceiling. 4. With eyes remaining fixed on the point, take a deep breath. 6. Repeat this seven times. 7. Your eyes would have closed by now but if they have not just close them and relax. Let your body become limp. 8. Picture the image that represents your aim or situation that you wish to see yourself after achieving the goal. 9. Make the positive suggestion as you had thought of it before starting the session. It should be done thrice silently. Something like “I am relaxed, calm and confident.” Stay with the image as visualized in step 8 above during this process and thereafter a few minutes. 10. Mentally count from one up to five and the open your eyes and slowly shake yourself out of this state. This article and the self-hypnosis procedure mentioned in it is just a guideline and meant for an advisory purpose only. It should be used under the guidance and is not a substitute for the Medical prescription and treatment.